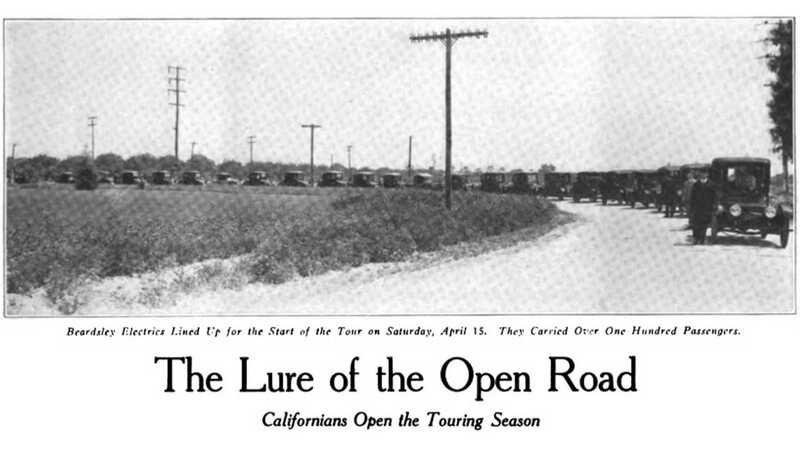 Today is the Centennial of the Beardsley Electric Tour held April 15, 1916 in Southern California. The drivers, along with over 100 guests, drove from the Beardsley Showroom in downtown Los Angeles to the Hotel Virginia in Long Beach where the party indulged in a banquet and a dip in the ocean before returning home. 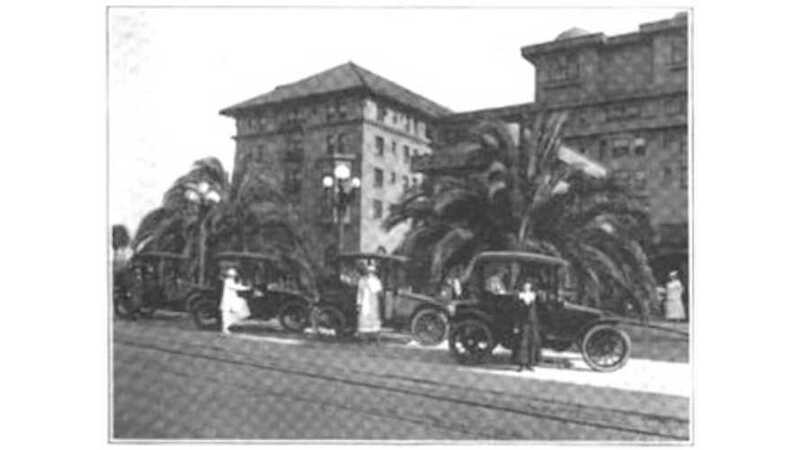 At the time, the Beardsley company attempted to compete with the larger automobile builders in the East by promoting a new light town car touted as “the lowest priced electric built in America.” Beardsley built a factory in Los Angeles but the company’s fortunes soon fell with the rise of much cheaper gasoline-powered cars and the company closed in 1918.